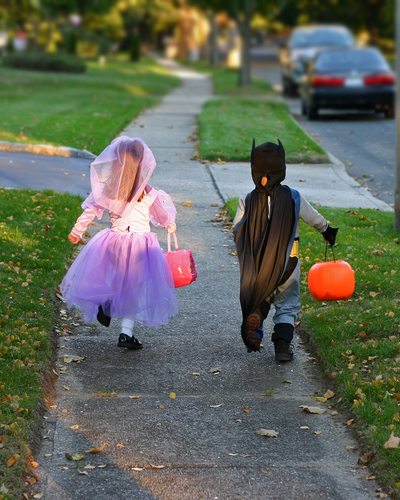 Most of the children who come trick-or-treating at our doors tonight will be dressed as princesses and super heroes. According to statistics, these are the most popular costumes. And now that we know a bit more about our opponent, such resistance can be even more successful. This is really good, Nancy. It’s powerful to see several verses (about our opponent) linked together like this. Thank you, Bill. The exercise of studying these scriptures was eye-opening to me, that’s for sure! Great post! Sharing on my Facebook page Thoughts From The Porch…. Thank you, April. I’m delighted you found the post worth sharing! Thank you, JD. It’s an honor to be reblogged! Terrific post Nancy! It is good to be reminded that there is a battle going on and we need to keep up our guard against the devil and his evil lies. And Yes! We have the victory! Thanks! good reminder. He is such a lier too. I often forget that at first but when I realize that and turn to God, off he goes. Amazing how he learns to find our weak spots and waits until we are tired or hunger or hurt, then attacks. Oh, yes, Satan is full of tricks! While reviewing his strategies, in prep for this post, I became incensed at myself for allowing his underhandedness to get the better of me sometimes. Turning to God, reciting scripture, filling my mind with praise–those are the strategies I want to use against HIM! Thank you, Rebeca. I’m so glad you found it meaningful. Loved Ann White’s quote “The devil may prowl around like a lion, but Christ removed his teeth at Calvary!” I am so thankful that “greater is He (Jesus) who is in me…than he who is in the world (the devil)”. Satan may think he has the upper hand as we witness the willingness of our country’s leaders to wipe out, eradicate, and obliterate anything referring to Christ… But this will linger only for a season…only until Christ returns to claim his own and the devil gets his due. Absolutely, Cheri. Some leaders are probably unaware that efforts to eradicate Christianity will never succeed! Praise God–HE is in control and His Word will never pass away (Matt. 24:35)! Thank you, Laura, for being such a faithful reader!